Summer and autumn have brought gorgeous weather, record numbers of visitors; and the colors of fall foliage will peak soon. 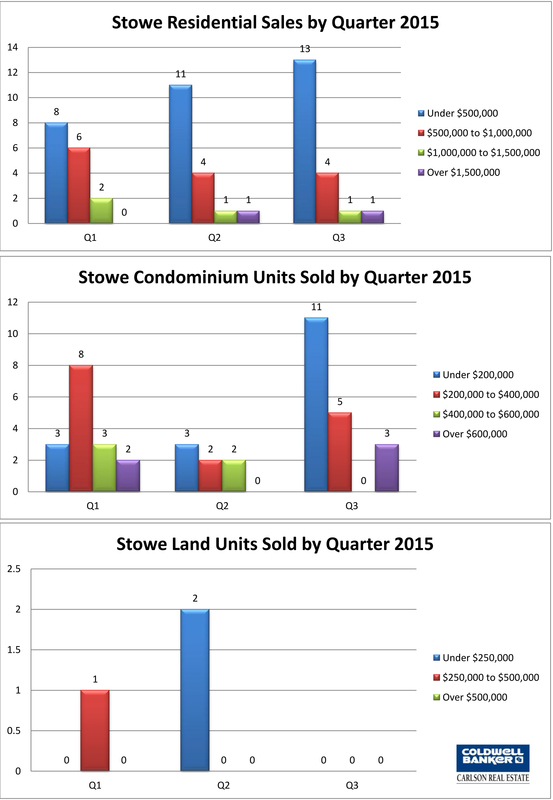 Real estate activity in Stowe, and the surrounding area, continues to be steady. Much like the first six months of the year, Q3 shows that Stowe residential sales continue to reflect the trend of a more typical and stable market. For the first 9 months of the year, the number of sales decreased 26% as compared to Q3 of 2014. This slow down, while still stable, can possibly be attributed to factors outside of the Stowe market, like potential rising interest rates and unsettled financial markets. Click here to read my complete 2015 Third Quarter Market Report.